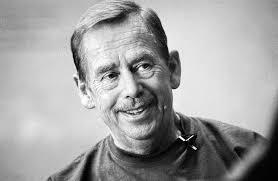 This Reading features an essay by Czech playwright and former President Václav Havel. “Politics, Morality & Civility” is from his 1992 book Summer Meditations, written soon after the former dissident took office after the dramatic fall of Communism in Czechoslovakia. It is a clear look at the world situation and a call for our cultures and our leaders to rediscover or cultivate what Havel terms “higher responsibility,” a morally grounded vision for the common good. 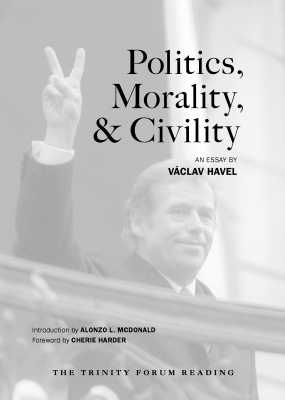 Furthermore, this excerpt sets forth Havel’s belief in the necessity of civility, the nature of responsible politics, and the imperative of a morally grounded vision of the common good. Despite being published a generation ago, his insights in “Politics, Morality, and Civility” could have been written for our own riven time, and provide an indispensable guide to those who care about the state of our culture and our politics. Alonzo McDonald skillfully introduced the original run of this Trinity Forum Reading, and Trinity Forum President Cherie Harder adds her reflections by way of a new foreword for this thoughtful work.